This is the 1997 reunion concert coordinated by MTV. Watching this fully for the first time allows me to compare this to the music I remember against what I saw and heard. It's by far from perfect. Christine McVie looks and acted like she wanted to be somewhere else. John McVie, her ex-husband always quiet and in the shadows. 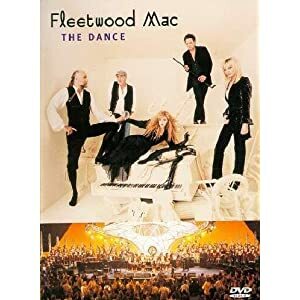 Stevie Nicks shined not only in presences but in passion while singing the songs, as did Lindsey Buckingham manipulating the guitar like I've only seen recently and Mick Fleetwood, always the wild looking man, keeping perfect rhythm. It's a spotty show with well loved solid hit, combined with new material from each of the writers. Tusk, which took forever to appreciate, was rather cool, when the marching band filled the stage. I need to find the full concert on YouTube so that I have something to watch/listen to while working. Write Christine a big, fat check. She'll come back. Has she given any reason why she is STILL refusing to come back? dang would have loved to see the full show....love the still for the teaser....sort of a behind the amps view! Behind the Amps brought to you by VH1. Can't wait to hear what Pre-Amps was banging Amp. I think she's had enough. I don't believe money is an issue. She's getting older and not necessarily wanting to get back with the gang. I feel bad for both the band (Mick) and the fans. It's unfortunate that it happened. But with that said, given how f*cking pricey Fleetwood Mac tickets are these days, I would be furious paying that kind of money and only getting half a show. I hope the band at least offers a partial refund in good faith to those asking for it. I saw a really great photo of Stevie Nicks live from the current tour a few days back...she looked amazing and I've heard she was singing great...I'd expect a replacement coming for the remaining dates...the show must go on. Yea, I would hope the band makes some amends. My wife asked if I wanted to go. "Hell ya.... but not at those prices".